This seller is currently away until May 10, 2019, and is not processing orders at this time. You can add this item to your watch list to purchase later. mot2 has no other items for sale. This pictorial celebration of the world's most famous motorcycle will delight Harley fans of all ages. The leading icon of the bike trade of the 1950's, the Harley-Davidson machine is the most respected by bike fans of the 1990's. 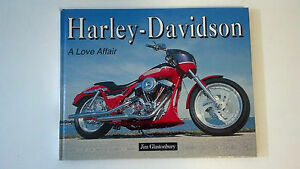 Includes vibrant full-color photographs of Harleys around the world, as well as custom Harleys of yesterday and today.